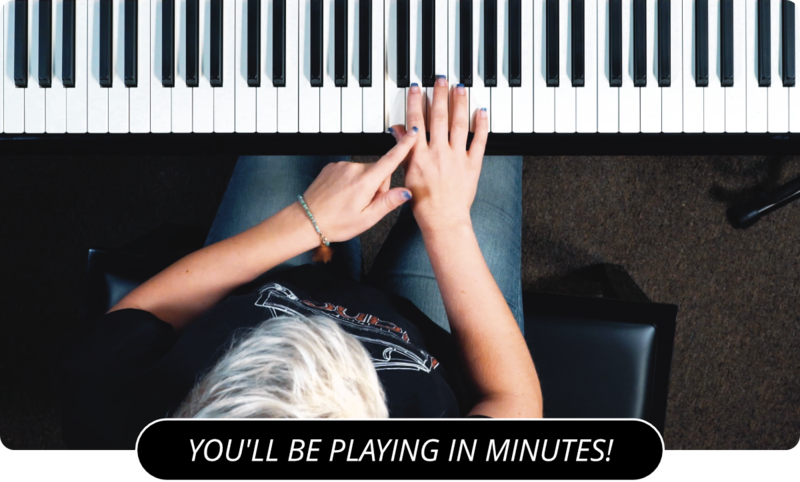 Learn How To Play The Dorian Mode On The Piano! I want to talk to you now about the Dorian mode. The Dorian mode is the second of the different modes that you can play a scale in. If you read my last lesson, you know that the Ionian mode plays the scale starting on the first note. The Dorian mode, being the second mode, plays the notes of the scale starting at the second note. You still play all of the same notes of the scale, you just start and end on the second note of the scale. For example the C Major scale played in the Dorian mode is D E F G A B C D.
The chord that we make from the Dorian mode is the minor seventh chord. We do the same thing we did to form the major seventh using the Ionian mode. Take the first, third, fifth, and seventh notes of the mode. For C major, those notes in the Dorian mode are D F A C. Those four notes make up the C Minor seventh chord. To give you another example let's look at the Dorian mode of the G Major scale. Instead of starting on the first note, G, we start on the second note of the scale, A. The mode looks like this: A B C D E F# G A. To form the G Minor seventh chord, we take the first, third, fifth and seventh notes of that mode. So the G Minor seventh chord is made up of the notes A, C, E, and G.
Hopefully now you have a better understanding of what modes are, and can guess the direction we will be taking as I teach you more modes. For the next lesson, I recommend you check out the Locrian Piano Mode .